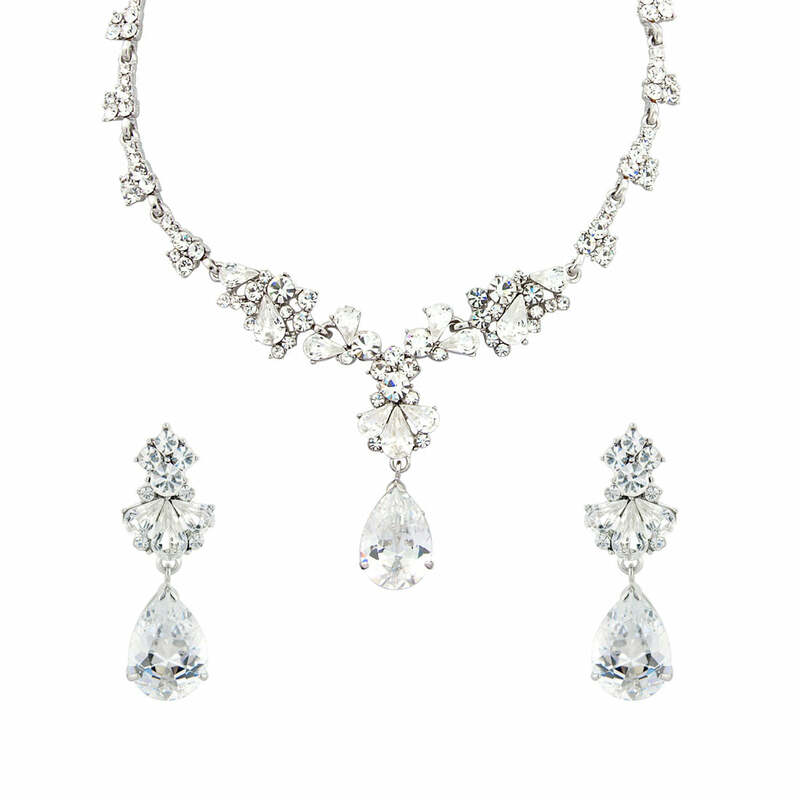 A statement crystal jewellery set which captures the glamour of 1940s Hollywood with its sparkling Y necklace and coordinating drop earrings. 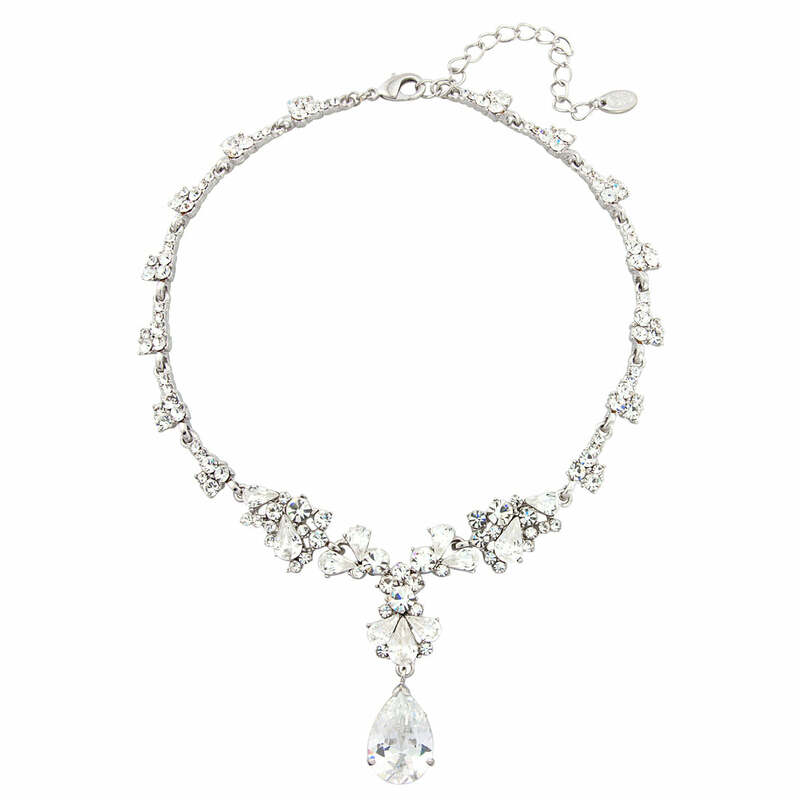 Taking inspiration from the iconic 1940s, our Precious Heiress Jewellery Set would have been a firm favourite with the Silver Screen Starlets. 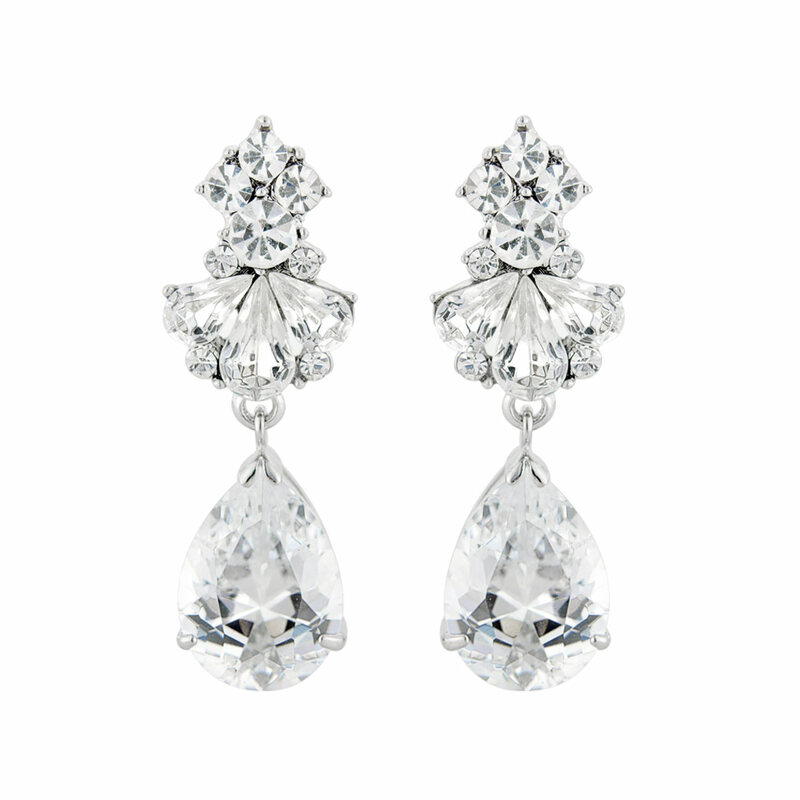 Oozing Hollywood glamour this fabulous set features a sparkling silver tone Y necklace with coordinating crystal drop earrings available as pierced and clip on. 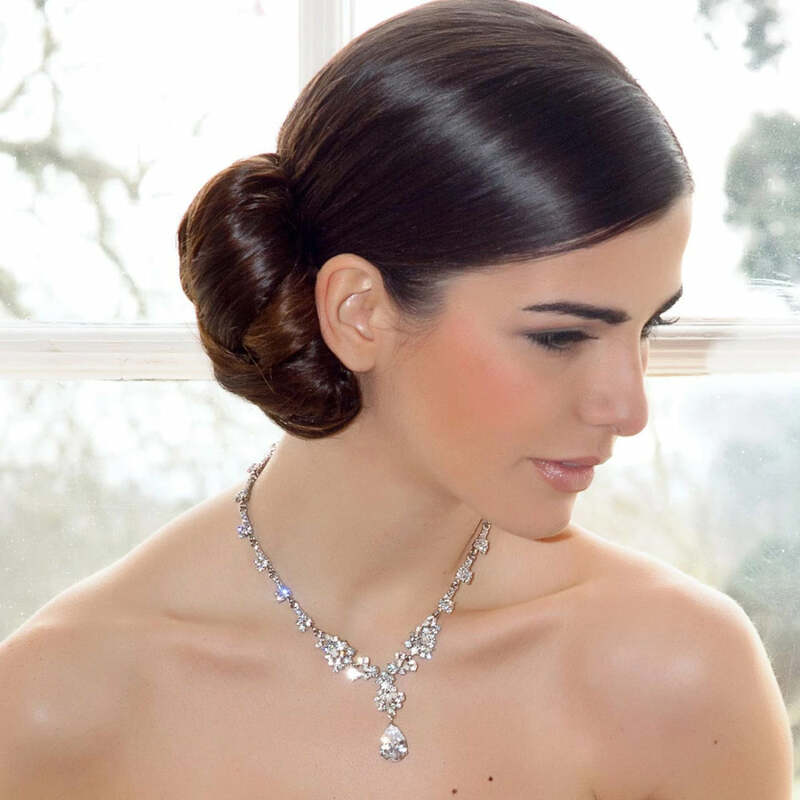 The perfect set for occasions which call for elegance and sparkle – accessorize a floor length evening gown or dress up your LBD with full on glamour or opt for one piece and team with a cashmere sweater for a romantic dinner date. 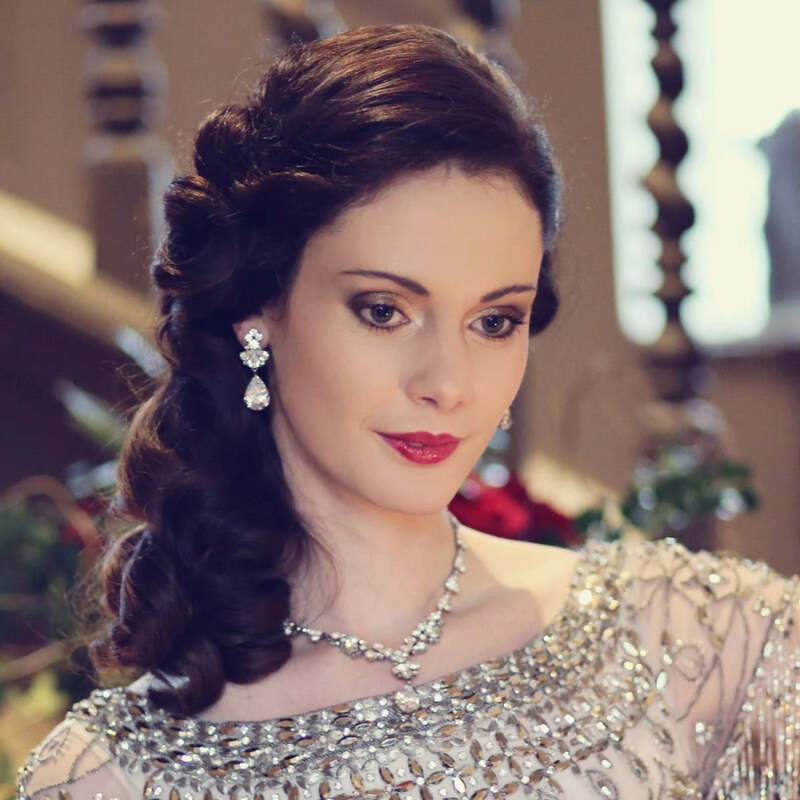 An exquisite wedding jewellery set for brides who adore the 1940s era, Precious Heiress will compliment an antique inspired bridal gown to perfection. Unleash your hidden Starlet style and coordinate with a sparkling headpiece or side tiara and glide down the aisle with statement flair.